Here's what my clients have to say! We love the house! Thank you again for all of your patience and guidance throughout the whole process. And for the home warranty. You are too sweet for words. We are so grateful! Definitely hire Elin! She is knowledgeable, professional, and very friendly. She gets the job done and helps you through the home selling process. Our home sold in one day for asking price! Elin is a great realtor. Frankly, after buying multiple properties over the years she is the best I have encountered. In an age when people use technology for everything, Elin screened every property personally to make sure it met our requirements. There was no spam and every message was properties that met most or all of our requirements. She carefully listened to what both my wife and wanted and filtered based on that. It sounds simple, but in this day and age it is rare. She knew the area extremely well and super responsive. ELIN is very knowledgeable and helpful. She answers all questions and facilitates the the buying and selling process. She is very prompt to return calls and emails. I would highly recommender to anyone who is considering working with a realtor. She was excellent. Elin was the Best we've ever had! We've bought and sold 6 homes in 38 years and she has been the best to work with. We're very pleased. We would certainly recomend her and call her again. This is my second time dealing with Elin, the first time she was very helpful in overcoming many obstacles in the sale of my parents home and I just recently sold my home the whole experience was top notch. Elin always responds in a very timely manner, whether it be via phone or email. She's very helpful and willing to answer any questions, which is a great comfort, especially for first-time home-buyers. She's also very knowledgeable and can provide you with referrals for inspectors, contractors, etc. Would definitely recommend her for any of your real estate needs. Buying our first home with Elin was an amazing experience! Elin's knowledge of the area, attention to detail, and understanding of what we wanted in a house helped us to find our perfect home. Since this was our first home, we were not familiar with the entire process of buying house. Thankfully we had Elin, who walked us through each step of the process, making everything surprisingly easy! I couldn't be happier with the entire experience! I would highly recommend Elin to anyone looking for a realtor. 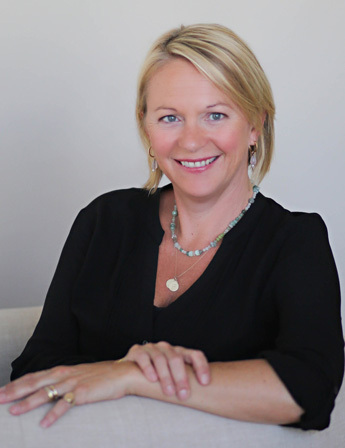 Elin Green is a fantastic agent! She is extremely knowledgeable, patient and a pro negotiator. We did well on buying our home with her help. We did well on deciding how to improve our property by consulting with her. A year later, we found contractors and last minute hvac repair help due to her experience and solid relationships in the industry. When it was time to move- We listed our home and sold it quickly for more money than we thought, and it appraised right on the money due to her knowledge of the local market. As a buying agent and a selling agent- we wholeheartedly recommend you call Elin! We found Elin Green on Zillow. She immediately contacted us after sending a message through Zillow. She was flexible and able to work with our busy schedule. Elin is extremely knowledgeable, professional, and kind. We also appreciated her quick responses through email, text, and phone calls. What we loved most about her is that she continuously fought for us with our negotiations and always offered great advice. I would highly recommend her to other and have already recommended her to friends and family. We will continue to use her for our real estate needs. We spent over 6 months with Elin as we tried to find our first home! Since we were first time homebuyers, we were critical and over cautious on all details and Elin was patient with us every step of the way. I think we saw over 50 houses with Elin - she never rushed us or made us feel like we were taking up too much of her time! Overall we had a great house hunting experience with Elin by our side and we would recommend her to any of our friends looking for a home in Southeast PA.
As first time home buyers we had a lot to learn! Elin was very knowledgeable and did an excellent job helping us through the home buying process. She was great to work with, was very personable, and responded promptly to our numerous emails and phone calls. When we encountered issues with our home inspection, Elin explained our options, provided us with guidance when requested, effectively communicated our decisions with the other party, and was able to successfully reach a resolution that was beneficial for us. Everything worked out for the best and we are now in the house of our dreams! Elin was integral in helping me my husband and I find our dream home! She is truly one of the most outstanding professionals in the business and I would highly recommend her! She is very knowledgeable and also fun to work with! Outstanding Realtor with meticulous attention to detail. Highly recommend, we can't say enough about how easy and professional our real estate transaction was with Elin as our Realtor. She is truly a service before self Realtor that makes her clients feel like close friends. Her previous business management background was very helpful for us to make sound decisions in this market. Elin's personal contacts in the real estate business gave us first hand knowledge of the market we were buying into and put our minds at ease that we were making the right choice. Thank You. Elin was great to work with from the first day right through to settlement. We had the usual challenges with offers from prospective buyers, negotiating agreement of sale, etc and Elin kept us calm and focused and help guide us to a successful settlement. We were very pleased with the overall process and would highly recommend Elin. Elin Green is an outstanding real estate agent. In working with her for the past several years I have found her to be completely dedicated to her clients. Elin leaves no detail out. Her passion to help the consumer whether selling or buying is incredible. As a mortgage professional it is so nice to know that the real estate agent who is representing the buyer wants the best for her client. Elin's compassion and dedication has earned her many recognitions of which she should be very proud. I would highly recommend Elin to anyone looking to either list their current home or buy a new one.